Great chefs, doctors, dentists, plumbers, accountants and other business- people in any industry will have to learn that financial success does not come about just from being good at what they do—there is a missing element that must be learned. All business owners in any industry will have to realize that they are not in the business of providing the service or product of their respective industries, but of making known to their prospects the benefits their industry delivers. No matter what business you are in, you are, first and foremost, in the business of promoting your business. It might not be flattering, but if the art of marketing your service or product is not mastered at least as well as the actual profession you think you make your money with, then there will be no money to write home to Mom about. How to attract a large volume of clients without spending huge advertising dollars. How to get lots of referrals from people who are not even your customers! How to become an “absentee owner” – a “hands-free” owner who can run a successful business without having to work long hours in the business. 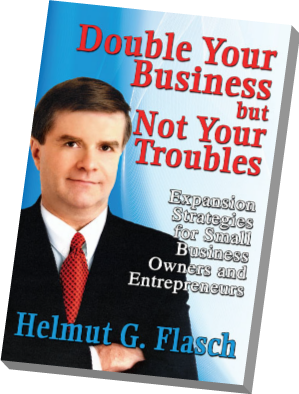 This book will show you how to “Un-Handcuff” yourself from your business and still enjoy great financial rewards.